Today I will blog about how can we earn Cash Back by Shopping Online. Interested to know? Since I am quite a fashion shopaholic when you talk with me about Online Shopping. If you will ask me where I bought my cloths or bottom? I will have most of my answer is that I bought from online. Since I love to shopping online why don't I earn some cash back when I shopping online. But how can I do that? 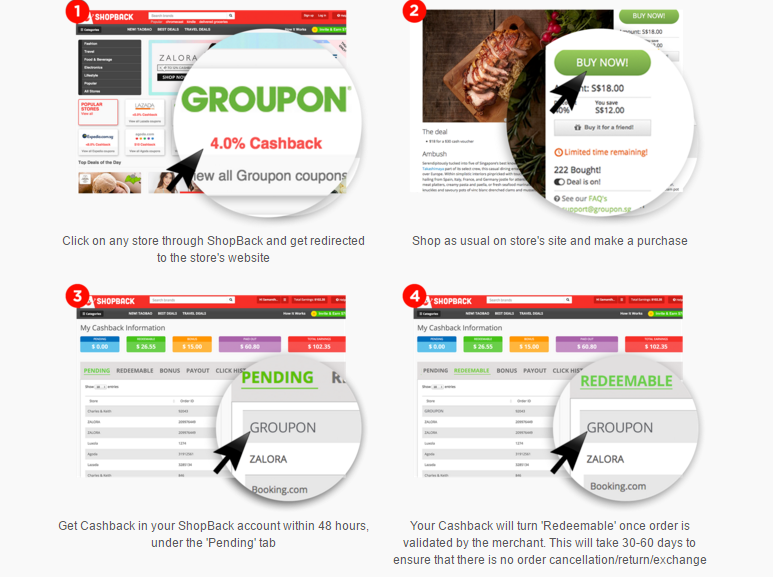 I recently stumble upon on a website that is Shopback, I realise it can helps us earn cash back when we shop at their certain store. Not only that you can earn through shopping online, but for travel and more too! 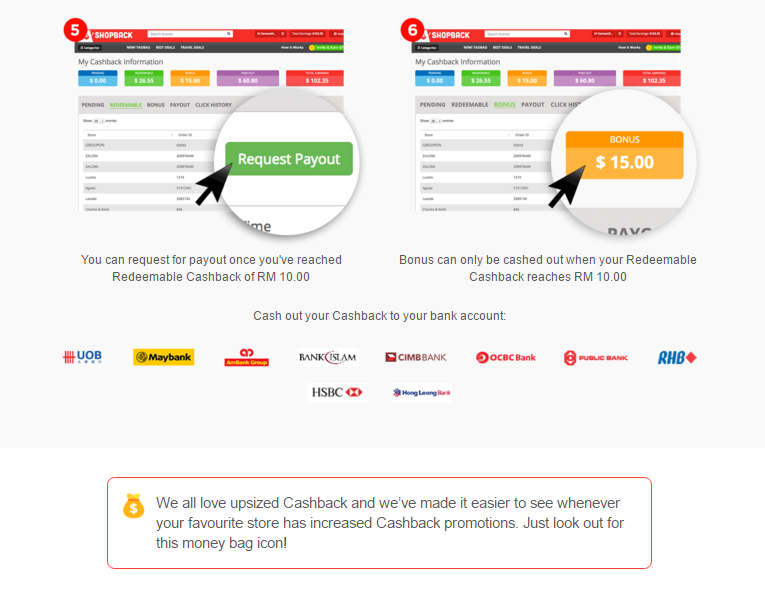 First you must be wondering how can we earn cash through Shopback? Or how even this Cashback works? Is it true that we can earn cash back? From the picture above, there are 3 important roles in this situation. Merchants in Shopback rewards Shopback with a commission for referring us to shop at their website. Instead of they keeping the rewards to themselves, Shopback share the commision with US. Which from here, we could share some of the commission from Shopback. Still couldn't get what its mean? Watch this video to know how SHOPBACK works and how you can earn CASH BACK. 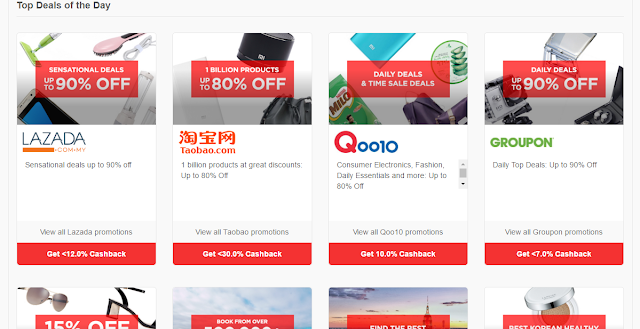 ShopBack provides discounts and cashback for online shopping. Let's hope on to their website to see how their website works. First of all since you want to earn some cash when you are shopping online, you must create a account to keep track on your earning. Their sign up is super easy and You could simply sign up with Your Facebook Account! Not only that they have referral benefits for you to earn MORE CASH. Seriously I can only find how good Shopback works. Who doesn't love to just EARN MORE CASH by just shopping online? 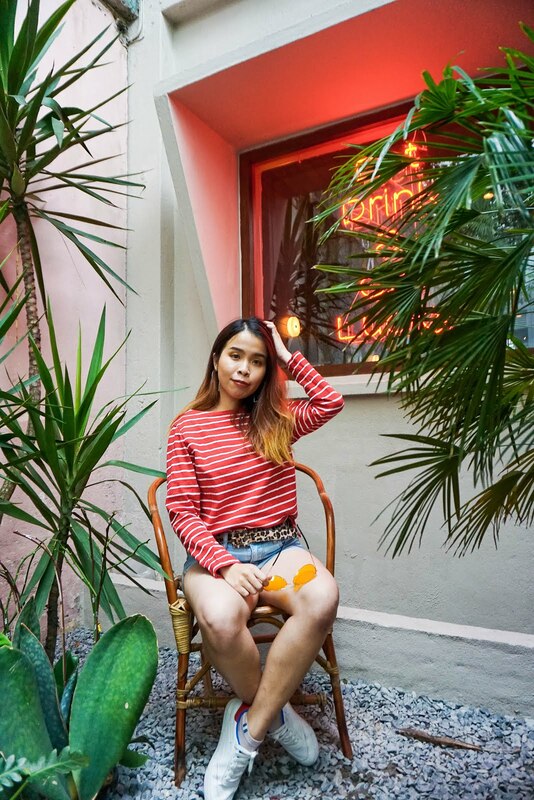 Not only you can earn cashback through some fashion website, but they have collaborate with some travel website and coupon website for all the traveller or who ever loves discount when you shopping online. Reading some of the testimonial from the user. 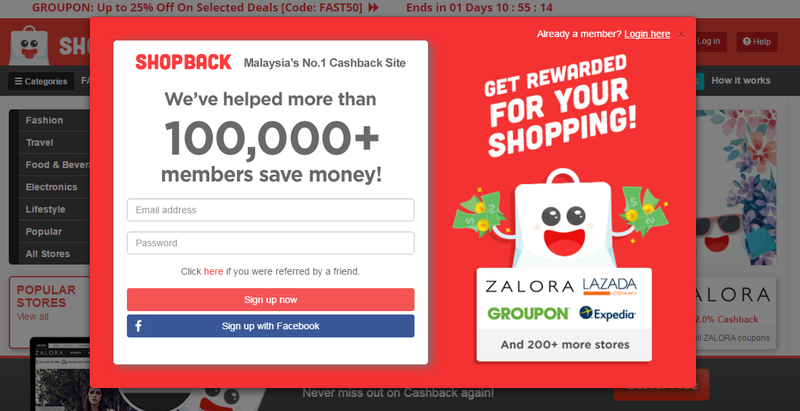 Making me feel so excited to join this Cash Back community! Not only that their website is definitely super user friendly which you can easily see everything in their homepage. Easily scan through their popular stores, and even category that you wanted to shop for! Scrolling down to their homepage, you can see the Top Deals of the Day. I love how its sound, Lazada is having sensational Deal up to 90% and yet through Shopback you can get up to 12% Cash Back as well. Isn't this a DOUBLE WIN situation for saving and earning!? I like how Shopback website always reminding us and noted us important notes that we should know when we start shopping through their website. After scrolling some of the item in Lazada, I finally get the item that I like. The bag for my Mum and purse for myself. 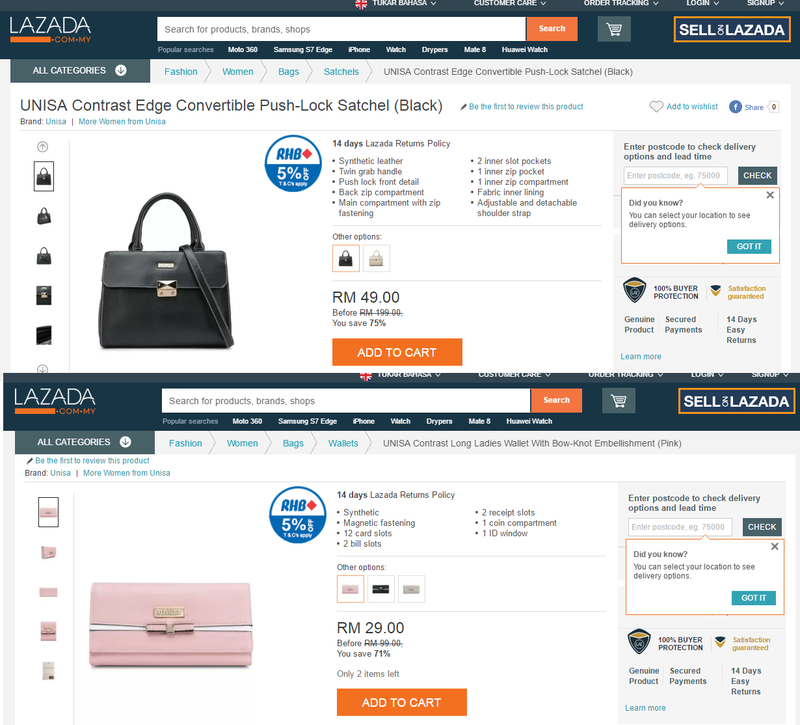 Since both of them is having sales in Lazada Website. Total sum up for both item will be RM78 + RM7 Postage. 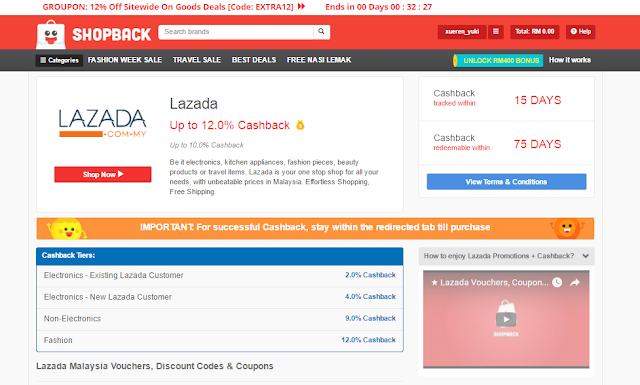 After Purchase, you can check on your Pending Cashback in your Shopback account within 48 hours. Your Cashback will turn Redeemable once order is validated by the merchant. This will take 30-60 days to ensure that there is no order cancellation, return and exchange. You can request to Payout once you've reached redeemable Cashback of RM10. For Bonus as well. You can choose to cash out your cashback to your bank account. How do our cash being track? Every store has their own Tracked and Redeemable within Days. Not forget there are some cashback tiers for you take note as well. 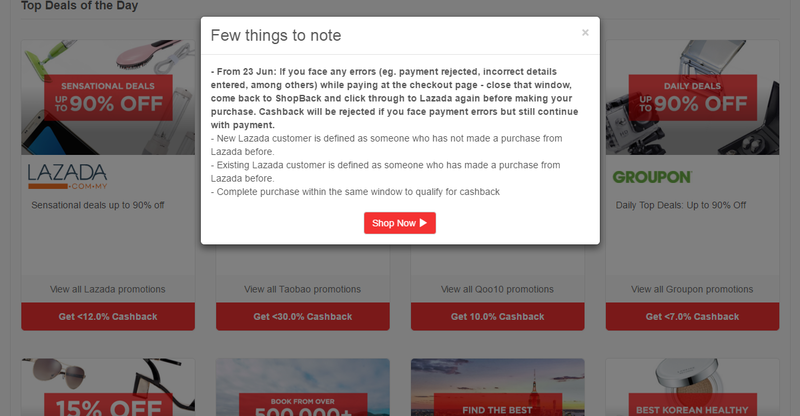 Most importantly, if you want have successful Cashback, remember to stay within the redirected tab till PURCHASE. You can fine more amazing discounts and Lazada vouchers here. Since I do shop for bridal gown in few website and I find that AliExpress offer quite alot range of wedding gown. Makes me crazy for all. If you are planning to buy your own wedding gown, try AliExpress through Shopback. 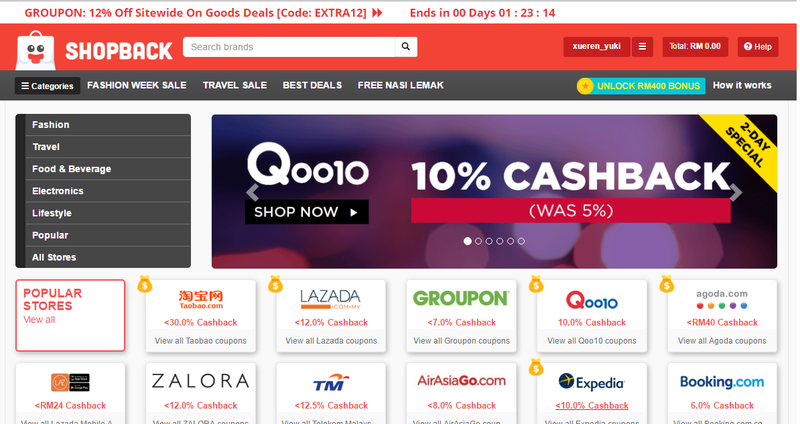 They are offering Wedding and Evening Dresses up to 70% Off and 10% Cashback from Shopback. Every store has their own Tracked and Redeemable within Days. Not forget there are some cashback tiers for you take note as well. Most importantly, if you want have successful Cashback, remember to stay within the redirected tab till PURCHASE. 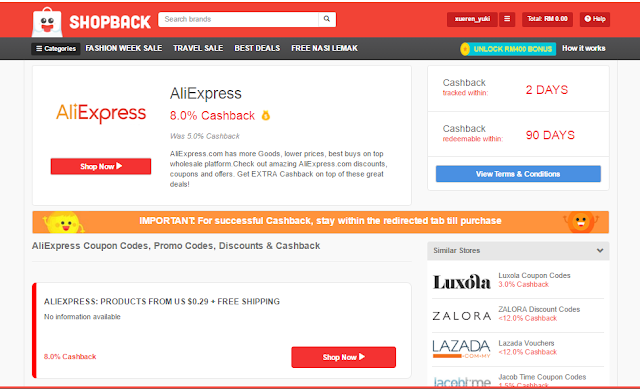 Find the latest Aliexpress coupon codes here.. 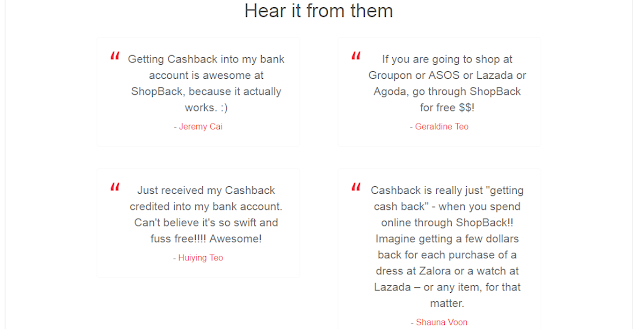 I love how I could earn Cashback through shopping online. Not only that I can earn extra cash but I could easily save hundreds every year since I love shopping online. I am happy that shopping online now can help me earn some extra cashback and help me save money too. Now I know I can have more reason to shopping online, because I have SHOPBACK now! You could use my referral link here to join my Shopback community. Not forget you can also refer a friend to earn up to RM5 when she sign up and make her first purchase through shopback too! Sign up now to earn MORE CASH BACK from Shopback! Yes it was Can have double earning! I just started using this too! Straight go shopping at Althea. Muahaha. And yea, depends on the Tracked Day, I already saw my cashback, it felt so good. :D Now confirm check if the online shops listed on Shopback first before buy. Cash back!! I am using cash back for a purchase in Asos, will share my experience soon! Enjoy your shopping! I rarely shop online nowadays except on a few sites that I know the founders personally. Hehe. I use Shopback when I remember to! But haven't found the time to shop online at all lately. Saw many bloggers blogged about this. Seem not bad to use. Read about this shopback thing every where! Seems very reliable and helpful! Nowadays many people are using shopback and quite keen to get rewards. I am using this shopback too. Hardly believe that we can spending money and at the same time can save money. Brilliant website! Read about this site in some other blogs too. I would definitely try-out. ShopBack is a good platform. What else is better than getting your money back while spending on it? i enjoy earning from shopback. 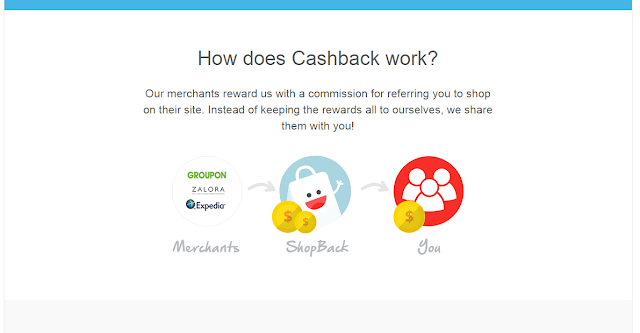 Whenever I shop with merchants work togeher with shopback, I get to earn cash back. I really love shopback. avid user and advocate of shopback!..good stuff here.